Kahn-Tineta Horn has always told great stories about her life as a model in the 1960s, and as a fierce advocate for Mohawk rights. Now her daughter, actress Kaniehtiio Horn, wants the world to hear them on her podcast, Coffee with my Ma. Coffee with my Ma is a podcast created by actress Kaniehtiio Horn that places the audience at the kitchen table with her and her mom, Kahn-Tineta Horn. As she recounts saving a Cree baby from being taken during the Sixties Scoop, to getting arrested for punching a journalist from the Toronto Telegram who wrote an unflattering article about her — it's clear Horn has lived a more colourful life than the average person. "My mom would just sit there and she's full of all these stories, and I'd be like, 'Oh my god that would be such a good movie, that would be such a good TV show, that would be such a good short film,'" said Kaniehtiio Horn. "She just started telling me this story of him, and I was like, 'Can I record it?' And she was like, 'Yeah alright, why?'" said Horn. "I was like, 'I don't know I might do something with it,' so I was just following her around recording." Kahn-Tineta Horn's life as a model and Mohawk activist is featured in the podcast, Coffee With My Ma. 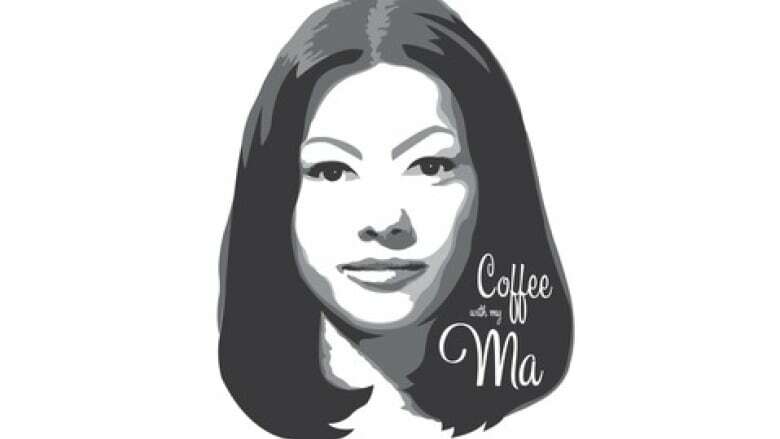 (Coffee With My Ma/Facebook)Horn said the podcast is a great outlet for her mom to set the record straight. Primarily known for her work as an outspoken Mohawk activist, Kaniehtiio Horn said the media's portrayal of her mom has been fairly one-sided. "Me and my sisters have been asking her forever to write her autobiography, because we grew up with these stories, and we're like, you have to write this down. Like you went to Robert Kennedy's funeral … you knew Marlon Brando ... [that] is insane." Not only has the podcast served as the perfect venue to share her mom's stories, Horn said she's found a passion and her voice through podcasting. "I feel like [the podcast] has really fulfilled me … it's something that I love to do." Horn said she's "obsessed" with podcasts, and she isn't surprised by the number of Indigenous people creating them. "[Indigenous people] love a good story. We're storytellers, we like to share stories," said Horn. "It's how [Indigenous people] shared knowledge … pass knowledge down, how we learn, how we grow." Horn hopes her podcast inspires other Indigenous creators to start their own podcasts. "I want to encourage people to take out their iPhone … and record the next time your aunty, uncle, grandpa, grandma, sister, cousin, whoever is telling one of those stories," said Horn. "I want to celebrate elders basically, I think they're awesome."